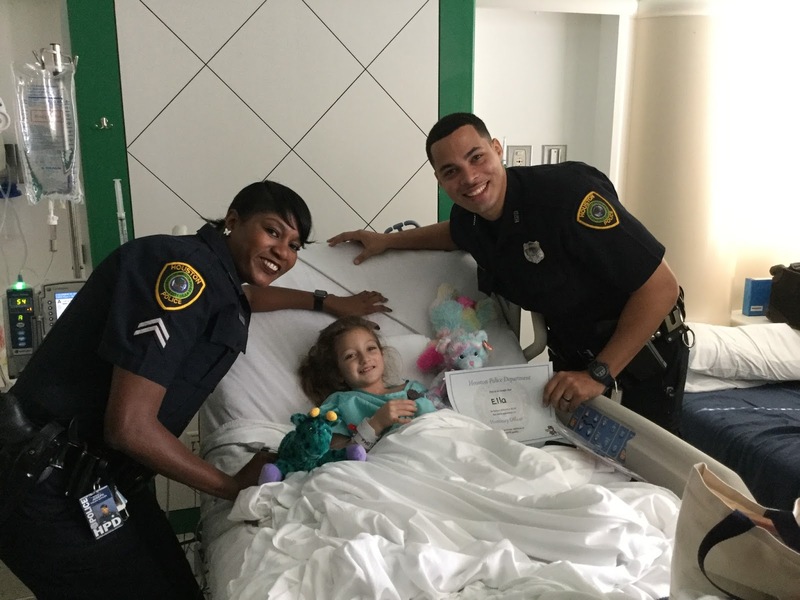 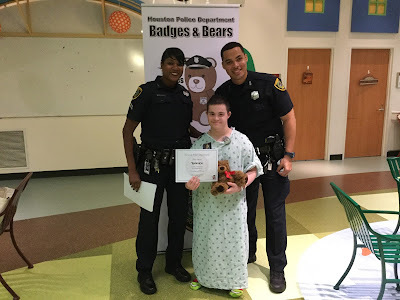 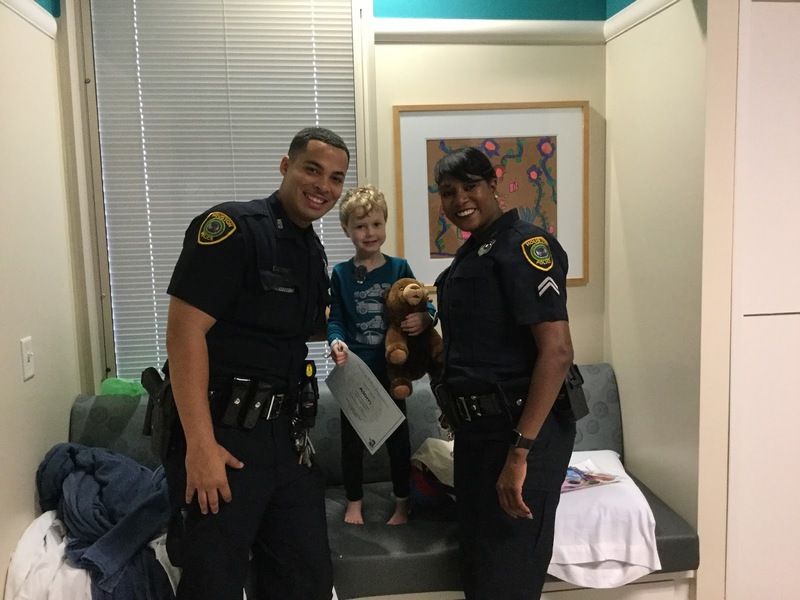 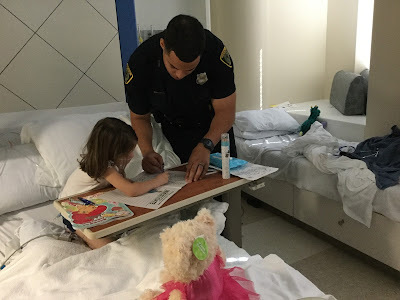 HPD went to Memorial Hermann Children’s hospital to visit children, give stuffed animals, and hopefully spread smiles. 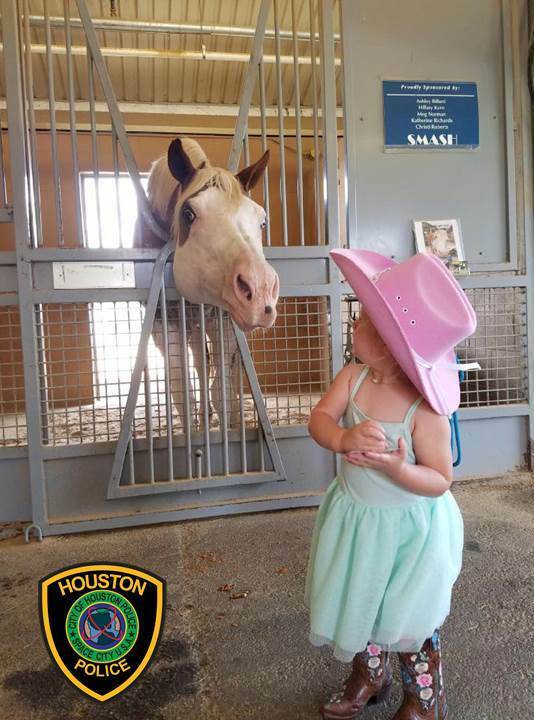 The children get a donated stuffed animal and are made honorary Houston Police Officers. 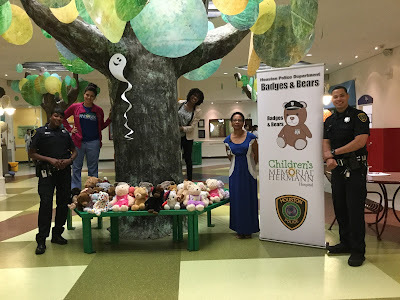 Children either come to the atrium or the officers go to them. 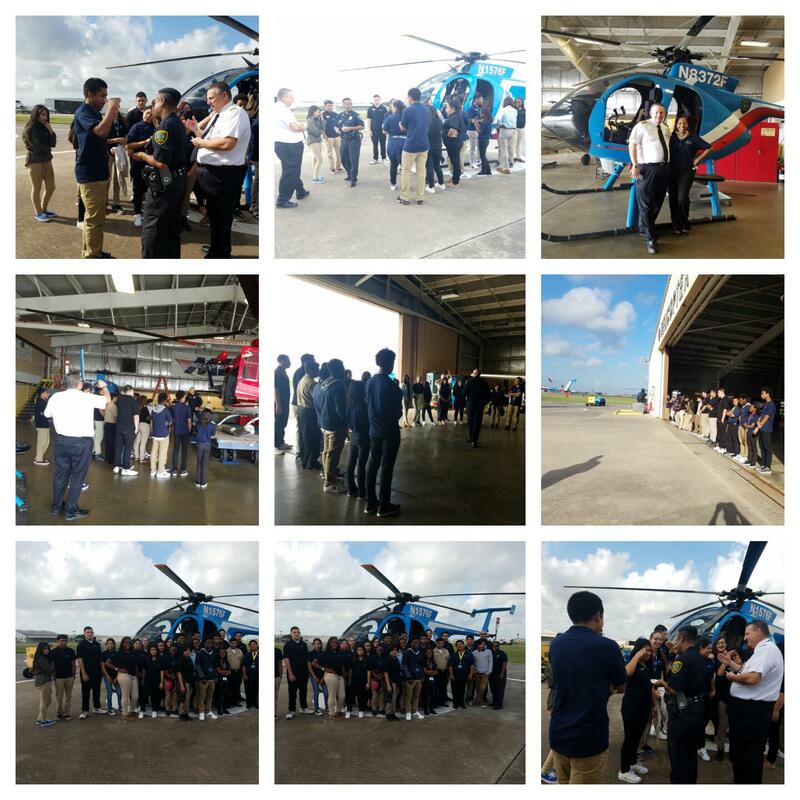 Seniors and Juniors from the Ross Shaw Sterling Aviation School toured the HPD hangar and found out what it is like to be a pilot. Division Commander Captain Bruce Williams made them all honorary Junior HPD Pilots! 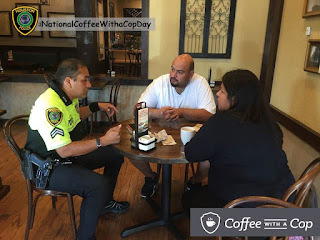 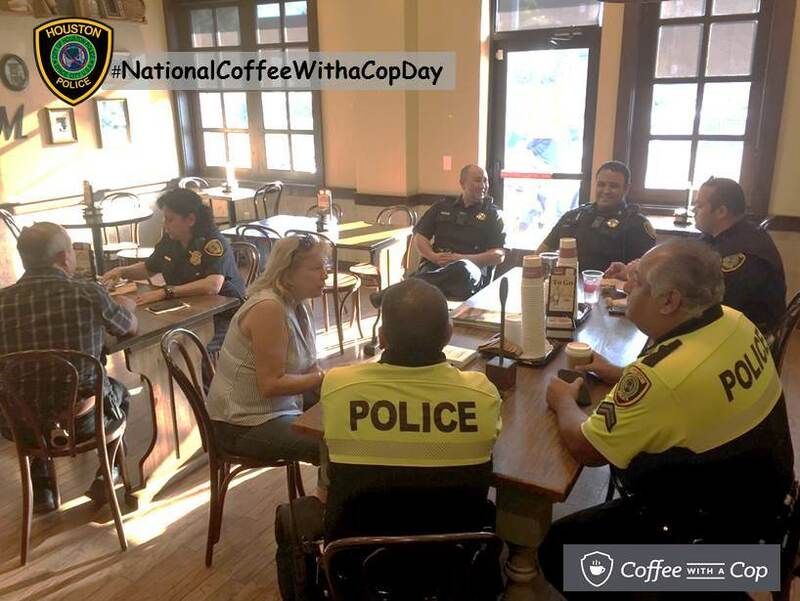 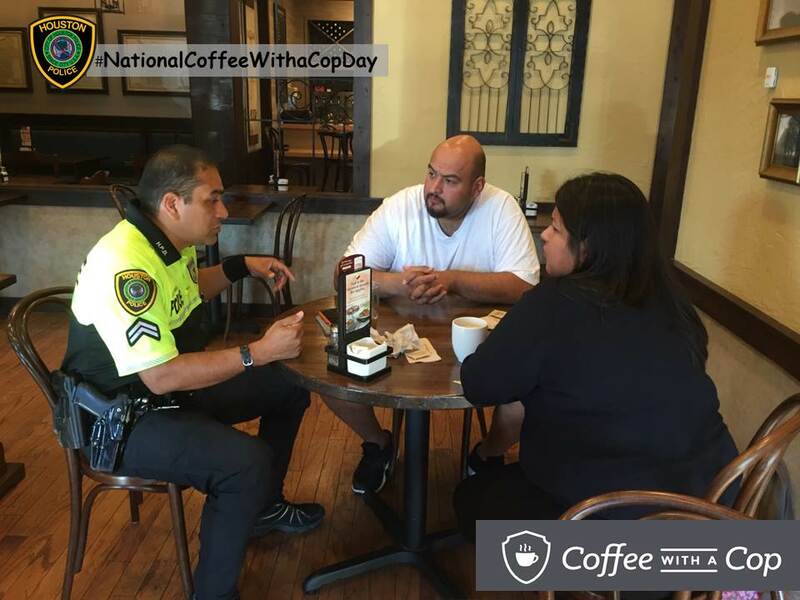 Great turnout this morning for #NationalCoffeeWithaCopDay! 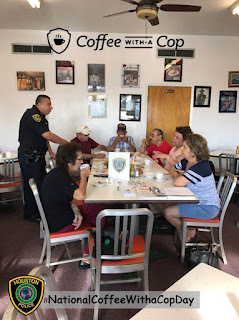 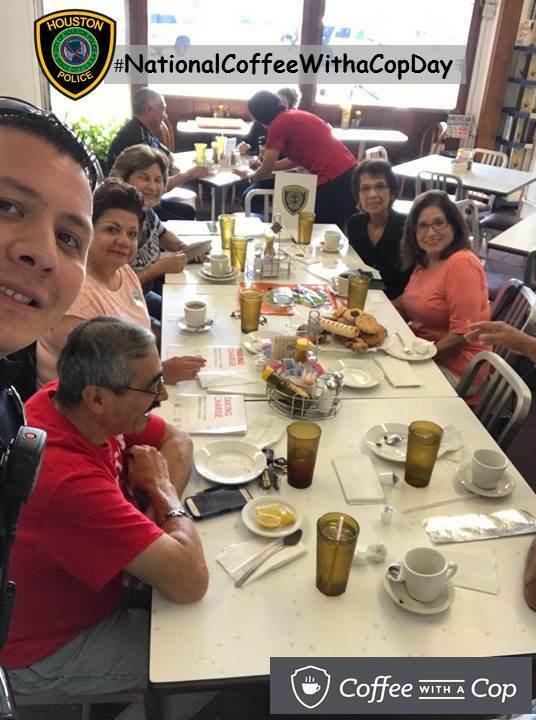 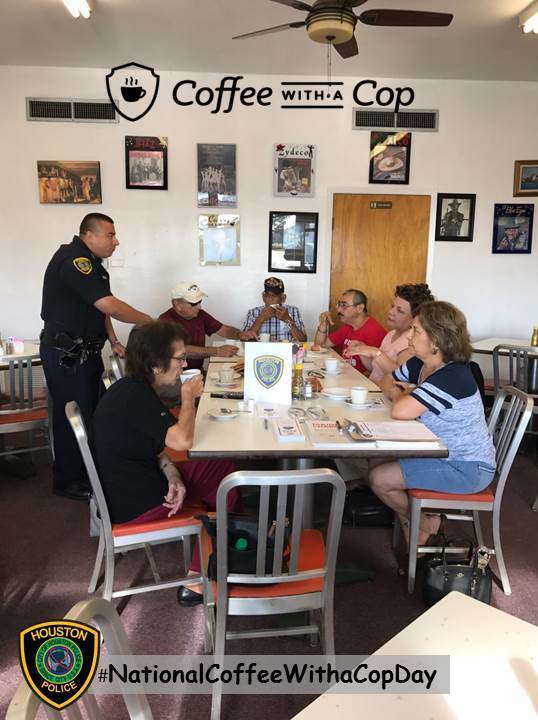 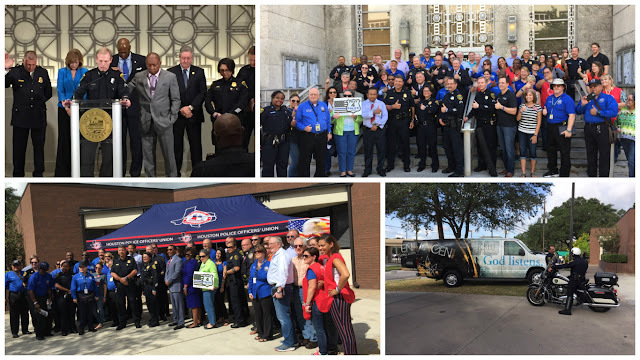 These community events are a great way to start and continue dialogue between police and citizens. The Teen Driver Safety Initiative, sponsored by State Farm, is designed to teach teens about the dangers of distracted driving. 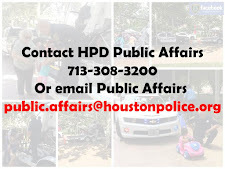 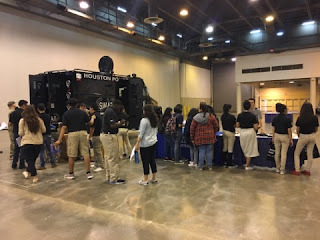 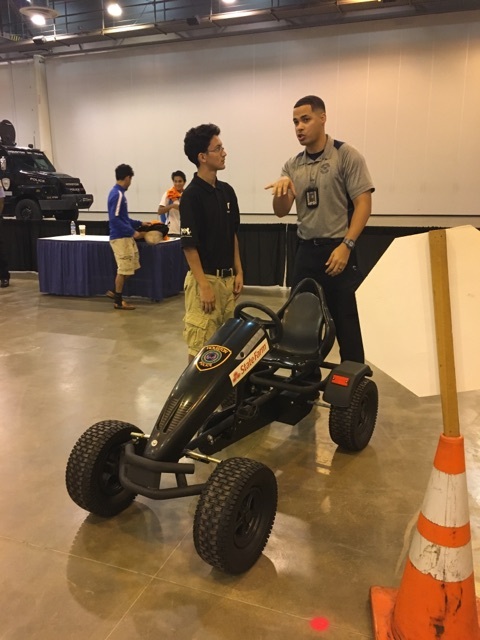 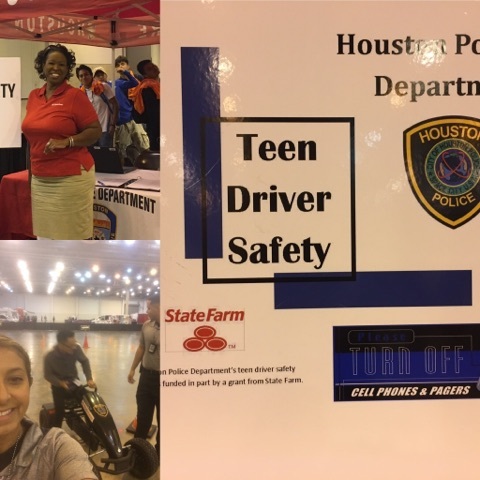 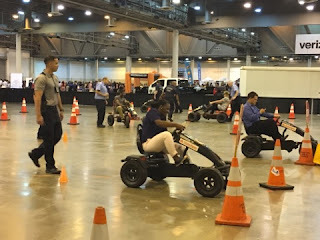 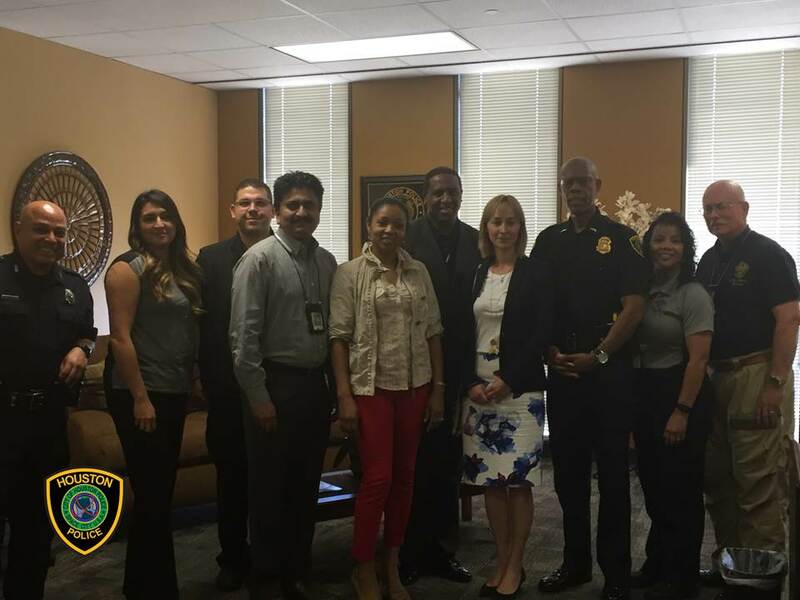 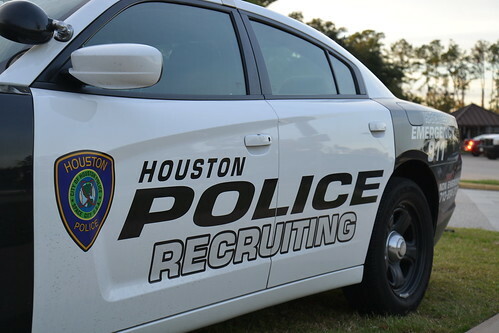 HPD presented this initiative at the "Find Your Path" Career Expo at NRG Stadium earlier this week. 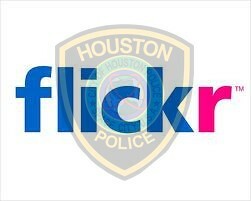 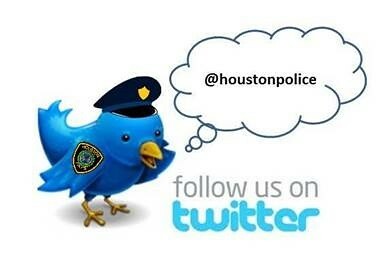 For more pictures from this event, please go to the HPD Flickr page AT THIS LINK.